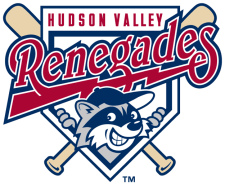 The Hudson Valley Renegades went 3-3 on the week, and are now 10-13 on the year. They are currently in last place of the McNamara Division, 4 games back from the leader. One player making a name for himself is Nicholas Schwaner, the Rays 30th round pick from the 2010 draft, who leads many of the offensive categories for the team. Transactions: David Wendt added to roster from Bowling Green (7/8/10). Ken Kelly added to roster (7/9/10). Geno Glynn transferred to Princeton (7/11/10). The Week Ahead: 7/13/10: at Mahoning Valley Scrappers (10-14). 7/14/10-7/16/10: vs Williamsport Crosscutters (13-11). 7/18/10-7/19/10: vs Connecticut Tigers (13-11).